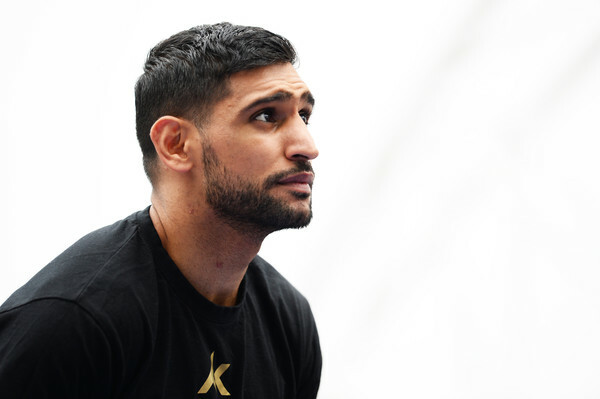 Amir Khan has opened up about the difficulties of being a Muslim in Great Britain ahead of his world title tilt against WBO welterweight champion Terence Crawford in New York next month. In the wake of the New Zealand terrorist attack last week in Christchurch that claimed the lives of 50 Muslims praying in two separate mosques, the 32-year-old revealed some people regard him as a terrorist as much as a boxer due to his faith. “There is a lot of hatred in a lot of people towards Muslims,” Khan said to The Mirror. “With the terrorist attacks and ISIS there is always a handful of Muslims who make it difficult for the rest of us to live in this world. “It is such a small number who reflect badly on the good and innocent people like myself; this is a retaliation against a handful of people. “But being Muslim creates more drama for me because who wants to support a Muslim boxer when we live in a time when there is a lot of terrorism and racism in the world? “But I represented Britain in the Olympics and I represent Britain when I fight. I have the British flag wrapped around me and I always call myself British. I stand up purposely against terrorism to show that I’m like everyone else but there are only a few people who understand that. “I try my best to make my point but I am a Muslim and a brown-skinned person so they will probably put me in the same group of people as the terrorists. “It’s definitely changed in the last few years and people do just look at what religion you are or what colour of skin you have. “You don’t even have to know the person, you just have to know what religion they are and you put them in that category. “I don’t feel afraid, I’m in a sport where anything can happen to me; but I feel afraid for my kids and my family and I worry that they will be in the wrong place or that something will happen when they’re out and about. “I live in Britain and I’m always going to live there. My kids go to school in England and I want to work in the UK when I retire.